LBHS girls swept the shortboard contest. The Laguna Beach High School surf team defeated San Clemente High School 88-79 at Thalia Street Beach for the first time. 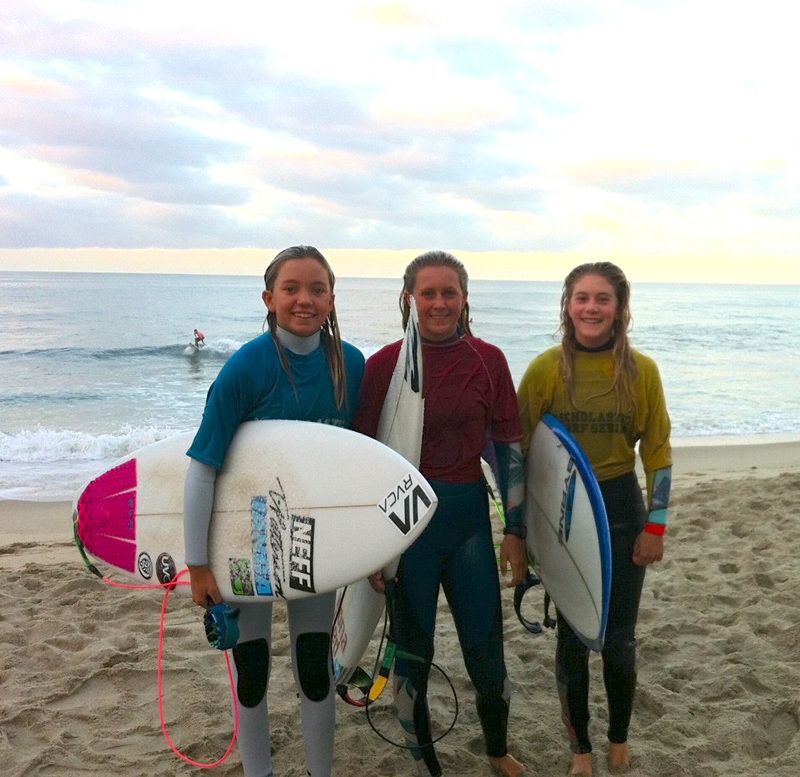 The team took full advantage of surfing at home with the small wind swell that Thalia provided. Laguna girls dominated shortboard and Kayla Cocino led the way with a first while Kalohe Danbara followed in second and Destiny Thompson took third. Kayla also competed in longboard and took another win, while Grace Wellsfrey snagged second and Anika Pitz finished fourth. Boys also dominated longboard with Jameson Roller coming in with the win followed closely by team mates Dante Madrigal in second and Wes Eagleton with an impressive nose ride, who finished third. The boys shortboard team was equally on fire. Both Noah North and Kiko Nelson had big wins while Kiko’s twin, Sam Nelsen, and Jeremy Shutts finished with seconds and Jake Levine and Liam McCue took thirds. Trey Lockhart surfed well, but incurred an interference and thus took fourth. Boys bodyboard battled hard. Todd Vought finished in fourth, just ahead of Spencer Davis and Hunter Johnson.